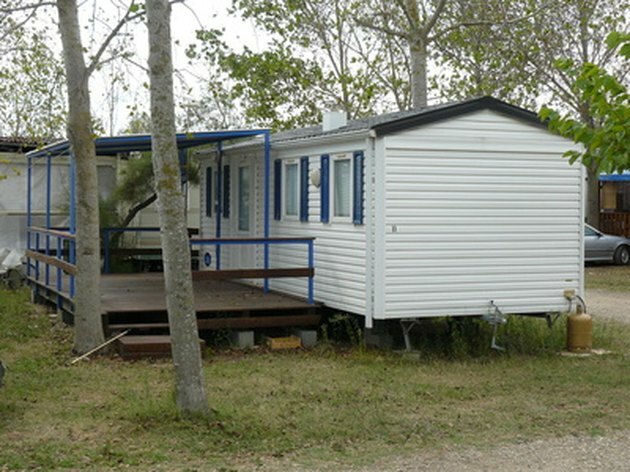 Heat and air conditioning are delivered to each room of a mobile home through a network of ducts that are attached to vents. 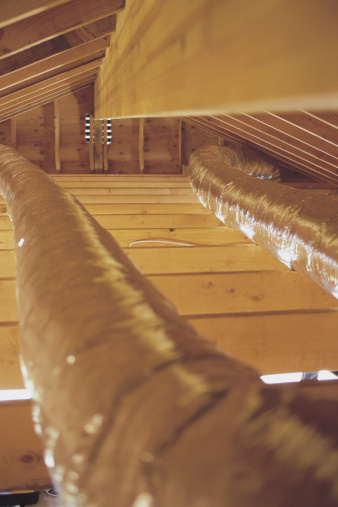 The ducts are usually constructed of aluminum tubes or rectangular shafts that run the length of the home. Double-wides are set up with two parallel ducts that are connected by a center segment. It gives the appearance of the letter H. The ducts need to be removed and periodically cleaned to avoid triggering allergy attacks when family members are mold-sensitive. Mobile home ducts need cleaning periodically to remove mold and mildew. Turn off the central heat and air unit. 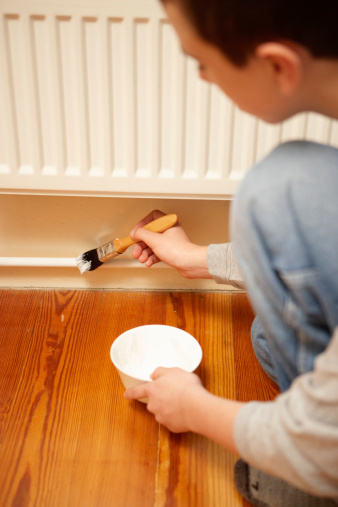 Remove the vent and register covers by loosening the screws with a screwdriver. Turn the screws in a counterclockwise direction for removal. Suction out any loose dirt or debris using a vacuum cleaner with a hose attachment. Reach as far into the ducts as possible. Crawl under the mobile home and remove the bolts that hold the duct work in place. Do this by turning the bolts in a counterclockwise direction with an appropriate sized box-end or socket and ratchet wrench. Pull the ducts free from the vents with a gentle tug. Drag them out from under the mobile home and set them aside for cleaning. Fill a garden pump sprayer with mold-killing sanitizer. Pump up the pressure and spray the cleaner down into the pieces of duct. Wet a string mop with water and push it down into the ducts. Scrub all areas of the inside surface thoroughly. Let the sanitizer soak on the ducts for a few minutes. Rinse the duct-work using a garden hose with a spray nozzle attachment. Let the ducts air dry for two hours. Reposition the duct-work back under the mobile home. Fit it snugly back into place. Use the wrench to turn the bolts back in the straps in a clockwise direction. Wrap each section with heat- and pressure-resistant tape. This will ensure there are no leaks in the duct system. Soak each register and vent cover in one gallon of water mixed with 1 tbsp. of dish-washing liquid for one hour. Scrub with a cleaning brush and rinse with clear water. Pull the vent plate off the central unit and wipe clean with a damp cloth. Pull out the filter and vacuum the blower motor and coil. Replace the filter and close up the unit. Replace all of the register and vent covers. Secure them with the screws. Twist them clockwise to tighten. Turn the central unit back on. Claudia Henning began her writing career as a "Lake Sun Leader" columnist in 1989. Her experience includes radio and Web writing, where she specializes in construction and home improvement project methods. She has an Associate of Science degree in physics/math from Del Mar College. How do I Set Vents to Maximize Air Conditioner? Cleaning Furnace Ducts: DIY or Contractor?